You are seeing older version of desired Mahindra Xylo Mini This model is no longer available in the showrooms. 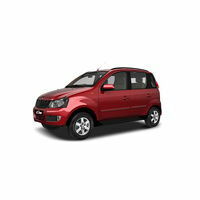 Check our latest listing of Mahindra Quanto for up-to date on-road price,pictures, mileage and more. Mahindra and Mahindra aims to bring its new smaller version of 5-seater vehicle known as Xylo Mini. The Mahindra Xylo Mini is anticipated to hold powerful, robust and durable specifications. The upcoming Xylo Mini will be housed with a 1.5 liter turbocharged common rail diesel engine. This engine is acquired from the Mahindra 2.2 liter M-Hawk CRDI diesel engine range. For better safety, it will be designed with airbags, wheel locking when instant brakes applied, seat belt warning, adjustable drivers seat and also powerful fog lamps. Really, the new Mahindra Xylo Mini will prove to be a game-changer as an alternative to the hatchbacks in India. Mahindra Xylo Mini is available in 1 variants. View below listing of variants based on their fuel type. Upcoming variants of Xylo Mini are also listed here. * Prices of Mahindra Xylo Mini car indicated here are ex-showroom price not the on road price of Xylo Mini. Price list is subject to change and for the latest Mahindra Xylo Mini India prices, submit your details at the booking form available at the top, so that our sales team will get back to you. Mahindra Xylo Mini mileage mentioned here is based on ARAI test drive and not from Xylo Mini review by vicky team. 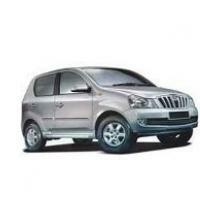 "The prime specs of Mahindra Xylo Mini are listed here. The overall length, width of the car should give you an idea about parking space it require. The ground clearance (lowest part of the car to the ground) will give you the measure of water wading capability and confidence of Xylo Mini's capability to run over potholes and speed breakers. However GC (ground clearance) won't tell everything. Other important factors like approach angle, breakover angle and departure angle is required to assess the cars' ability to run in rained indian roads and light off road tracks.Engine specs of Xylo Mini are also listed here. With the power (in bhp) and torque (Nm) figures the most important ratios - power to weight ratio of Xylo Mini and torque to weight ratio. The displacement (in cc) is the measure of cubic capacity of the engine. Earlier there was a notion, larger engines produce more power and torque however with the invention of advanced technologies this is no longer true."